Sometimes even in denial you can find evidence of the truth. Let us look at the article. First off, we are disappointed with Jackie Kirby’s completely unprofessional statement calling us “Cowards”. Cowards would not have set up a website exposing themselves to retaliation from a corrupt sheriff. Let’s stick to the facts, not name calling. According to Bill Elder he hasn’t even seen the website. Really? He expects us to believe that. So if he hasn’t seen it and he’s not concerned about it why did take down both his Facebook pages? Is that the actions of someone who doesn’t care or has nothing to hide? Bill Elder said; “the Sheriff’s Office will do nothing to investigate who is behind the website…”. If he hasn’t thought about it how does this statement even come up? We know he is actively investigating and trying to figure out who is behind the website and which employees are accessing it. We have had multiple sources from inside the office confirm this. Plus, some employees are being told by supervisors not to look at the website or t hey could get in trouble. Wow, who are the cowards? When will the Polygraphs for all employees start? 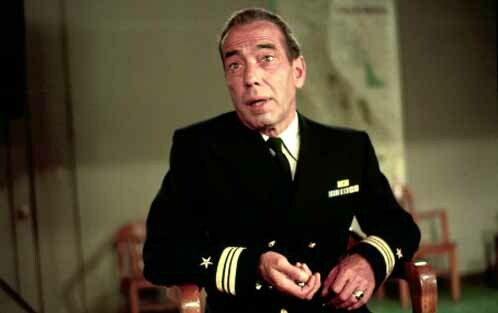 When will Elder start carrying around two small ballbearings like the captain in the Caine Mutiny. Instead of dealing with the issues, he has gone into complete denial mode. According to Elder, his hirings and promotions have nothing to do with his campaign. Again, let’s look at the facts. One or two people can be over looked; but 18 individuals, some with no experience for the positions they filled, gained from him becoming sheriff. Thousands of dollars donated to his campaign by 18 people who all directly monetarily gained. That’s not a coincident, that is a trend. These individuals could get over 3.3 Million taxpayer dollars over his term. Plus, Elder says we took down the post. NOT TRUE, it’s still there. In fact, we’ve added to it. (Link to Article) Why didn’t the reporter verify his statement? But the most revealing part is at the end. Lisa Kirkman attempts to distract the media with cleverly worded statements. “In a letter sent last month in response to a records request by The Gazette, Lisa Kirkman of the El Paso County Attorney’s Office disputed claims that a deputy was groped by the lieutenant in an encounter captured on jail surveillance. However, the County Attorney’s office acknowledged that the lieutenant was under an unspecified investigation involving jail surveillance video. The county denied the newspaper’s request for a copy of the video. “To release the video may impair the ongoing investigation,” Kirkman wrote, confirming the names of the lieutenant and deputy involved as supplied by anonymous letter writers. Like a good magician she is trying to get you to look at her left hand while you should be looking at her right hand. She is trying to confuse the issue and make it more complicated than it is. Her statements are deceptive. But she does make a statement that reveals some truth; “to release the video may impair the ongoing investigation”. If nothing happened and our allegations are all false there should be nothing on the video of evidentiary value and could be released. Plus she admits there is an investigation. Sounds like there is something to our allegations. Sometimes it’s what they don’t say. Did they deny that Sgt. Bill Otto conducted an investigation concerning allegations against Lt. Huffor? Did they deny he completed that investigation and “sustained” the complaint? Did they deny the report was given to Bill Elder and did not go to the Discipline Action Board which was still in effect at the time? Seems like we are providing more accurate information than they are. Again, is there any denial that Lt. Huffor was involved in a complaint of sexual harassment? They are working real hard not to make a simple statement. Next time a reporter gets an interview with Bill Elder ask some hard questions.